sometimes,everyone needs someone.. please be very kind about this photo. it's a somber creation and i worked hard on it. (the madeliefje, daisy is a get well soon flower). 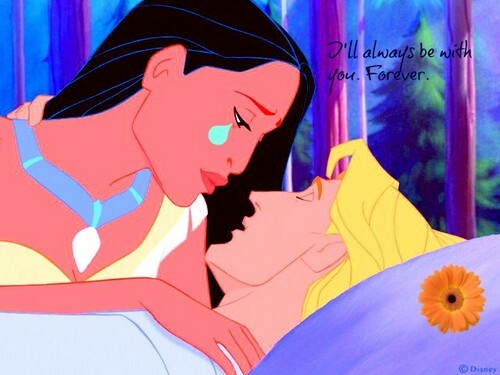 Wallpaper and background images in the Disney Princess club tagged: disney princess pocahontas john smith walt disney love.